This is The Scan’s 2000th post since we went to this particular format in February 2012 (although The Scan itself dates from June 2010 – check out the first Scan). These are the top ten posts and they’re actually quite representative of what The Scan “does”. Obviously, we’re a news aggregator: we take news from other outlets and try to put it into digestible form for busy people (which was the original purpose of The Scan). But we also provide independently sourced news and commentary. And we cover the whole of the tertiary sector: higher education and VET, public and private. We don’t cover everything – and never could – but we try to cover what matters. This selection is split evenly between higher education and VET, between “news” and “views” and split more or less evenly over three years. On 14 September 2012, The Scan published a leaked summary of Victorian TAFE transition plans which revealed plans for possible mergers, takeovers and asset swaps. This remains The Scan’s most read item and underpinned what was until recently our busiest day. The graphic probably helped – people love a secret. For the record, the document wasn’t leaked directly to The Scan: it came to us from a non-government source. The document, which summarises TAFE strategies to survive a $300 million budget cut, covers Victoria’s 14 stand-alone institutes and four dual-sector universities as well as a surprise entry from La Trobe University. La Trobe, which does not have a TAFE division, plans to pursue partnerships with several regional TAFEs to help shore up the viability of three of its regional campuses. This could affect the medium-term viability of the University of Ballarat, which is pursuing partnerships with the same TAFEs. If that transpires, La Trobe is “willing to consider merger with Ballarat. Of the four northern Victorian TAFEs, Bendigo and Sunraysia plan to work with both universities. Shepparton-based GOTAFE opposes increased collaboration with both while Wodonga is yet to choose between them. 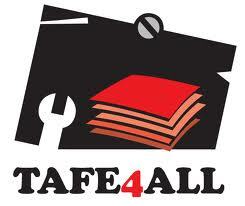 The two TAFEs in Gippsland are considering a merger with Melbourne-based Chisholm TAFE. The two southwestern regional institutes are also investigating a closer partnership, while at least two metropolitan TAFEs plan to morph into polytechnics. 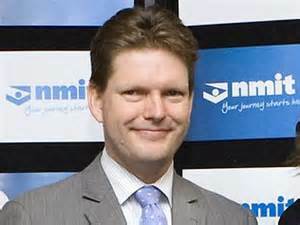 NMIT chief Andy Giddings suddenly quit on 26 February 2014, less than a week after the launch of Melbourne Polytechnic. We speculated that something was seriously amiss: it turned out that NMIT had posted a spectacular operating loss in 2013. From the circumstances of Andy Giddy’s departure and the tone of this statement, something is obviously seriously amiss at NMIT. Speculation is that NMIT has gone from a relatively comfortable surplus in 2012 (about $6 million) to a burgeoning deficit in 2013. NMIT budgeted for a deficit of $13 million for 2013, but, in the event, it may have been more than double that. This is speculation: we have no independent, verifiable information concerning NMIT’s current financial position. The University of NSW became the first university in Australia (in October 2012) to have a massive open online course, or MOOC, available free on the internet, ahead of the universities of Melbourne, Western Australia and Queensland, whose MOOC programs were then still being developed. Since then many more MOOC type platforms have been launched in Australia. A UNSW introductory computing course will be made available from 15 October. While the course’s intellectual property is owned by the university, the course will be delivered through Open Learning – an online education start-up company that Associate Professor Richard Buckland founded with UNSW graduate Adam Brimo, and which now employs a team of UNSW alumni. The high rating of this post can be attributed to the fact that there wasn’t a lot of information published in the mainstream media about the measures in the 2014 Budget affecting the VET sector: so far as tertiary education was covered, it was about the admittedly far reaching proposals in relation to higher education. The “tools for your trade payments” for apprentices will cease from 1 July 2014. It will be replaced immediately with a Trade Support Loans Program providing $439m over five years to provide apprentices with financial assistance up to $20K over a four year apprenticeship through a student loan repayment scheme. The Government will also establish an Industry Skills Fund to provide $470m over four years to support the training needs of small to medium enterprises that cannot be met by the national training system. Expenditure is budgeted to decline about 13% in 2014-15 over 2013-14 (from $1.67 billion to $1.45 billion) and 8% over the four years to 2017-18 (to $1.55 billion). The past couple of years have been like Christmas time for carpetbaggers in the Victorian VET sector. 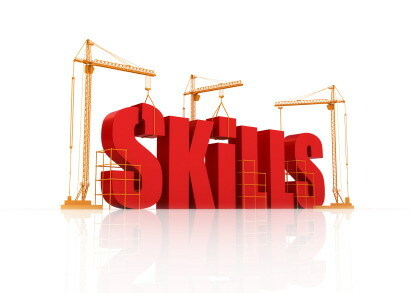 The “skills reform” initiated by the former Labor government opened up public funding of vocational educational and training provision to all comers. And as to the field of dreams, the private RTOs have flocked. At the end of September 2011, 721 providers were delivering government subsidised enrolments in Victoria, almost 80 more than at the same time in 2010 and 160 more than in 2008. The share of government subsidised enrolments by private providers increased from 14% in 2008 to 36% at the end of September 2011 and is now in excess of 50%. 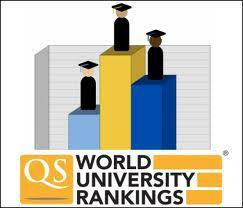 The University of Melbourne and Australian National University dominated Australian institutions in the QS World University Rankings by Subject released in May 2013. QS puts Melbourne as the leading local institution in 15 out of the 30 subjects, while ANU led in 9 subjects. Meanwhile, The University of Melbourne’s executive education arm has been ranked number one in Australia by the UK’s Financial Times newspaper. Despite domestic concerns about the quality of teacher training, four universities have been rated in the world top 10 for education, with Melbourne University ranked third, followed by Monash (6), University of Sydney (8), and Queensland University (10). Other subjects with strong Australian representation globally included psychology at Melbourne (7), UQ (9), University of New South Wales (10), and Sydney (14). In law Melbourne was rated fifth, Sydney (10), UNSW (12), Monash (13) and ANU (14). 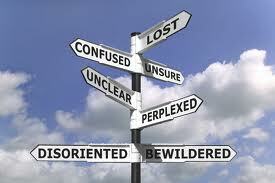 It was sudden, unexpected, immediate and never explained. John Maddock, chief executive of Box Hill Institute in Melbourne has announced he will step down from the role at the conclusion of his contract on 7 December 2013. After 14 years as chief executive, Maddock informed staff on 29 November that with senior executive roles needing to be filled, and the Institute’s new five year Plan soon to begin, it was time to “rejuvenate” and he had decided to step down. 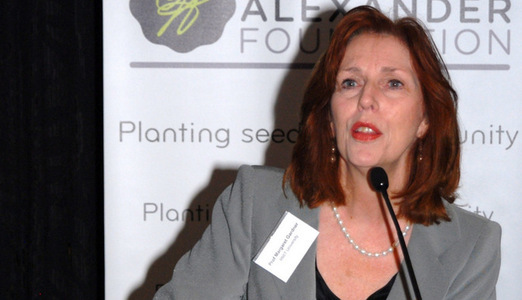 RMIT vice-chancellor Margaret Gardner announced in February 2014 that RMIT was availing itself of recent changes in Victorian government legislation to dump its standing as an institute of technical and further education – a public TAFE. She said that “TAFE” doesn’t fit with RMIT’s strategic directions as “a global university of technology and design” nor do “students find TAFE a helpful or useful descriptor”. While RMIT will still be accountable for any public funding it receives for vocational education activity, it will no longer be bound by the regulatory, reporting and governance strictures of a public TAFE. Gardner said RMIT is in the process of negotiating its own enterprise agreement for staff and work is underway transferring previously government owned TAFE assets to RMIT. The move doesn’t come as any great surprise: RMIT has been progressively exiting “training” at the Certificate level to focus its sub-degree delivery at AQF levels 5 and 6 (diploma, advanced diploma and associate degree). In a commentary for the ACPET Journal for Private Education in December 2013, Brendan Sheehan looked to the higher education policy horizon under the newly elected Coalition government. On the face of it, education generally is an area in which little immediate change would be anticipated, with the major parties going to the election on broadly bipartisan platforms. But no sooner had the ink dried on Christopher Pyne’s commission as minister for education than he was canvassing a range of interesting propositions around concerning equity, quality and the demand driven system and the sale of HECs debt. The simple fact of the National Commission of Audit and the Review of the Demand Driven System, both of which are to report in early 2014, portends likely far reaching changes in policies and programs for the higher education sector. The 2014 Budget on 13 May 2014 ought to be full of interest, in the Chinese curse sense, in a range of areas of government spending. At the time of the writing of this commentary (early November), Pyne had yet to have a go at his backflip on schools funding, an exercise which makes the observation that “Abbott intends to pursue an orderly and methodical approach to government” seem altogether wrong headed. That’s the risk with crystal ball gazing. 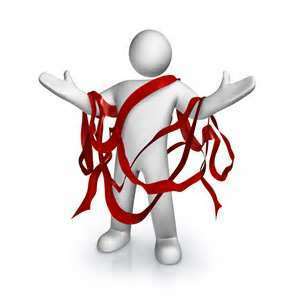 On 5 August 2013, on the cusp of going into caretaker mode for the Federal election, then higher education minister Kim Carr released the report of a review examining how red tape can be reduced for universities while also supporting the quality and excellence of Australia’s world class university system. Releasing the report by professors Kwong Lee Dow and Valerie Braithwaite – Review of Higher Education Regulation: Report – minister for higher education Kim Carr noted that while the report supports the continuing role of the national regulator – the Tertiary Education Quality and Standards Agency (TEQSA) – it also finds that the burden of higher education regulation on universities can be reduced without compromising quality standards.